When landscape architects Gustafson Porter conceived the idea for their Venice Biennale installation it was designed to respond to the challenge of how to cultivate ones garden, or how to tend to our affairs. Exploring the themes of memory, nourishment and enlightenment, they wanted to introduce a fabric sculpture as the centre piece for the garden. As fabric specialists and a company who loves to take on the more unusual projects Architen Landrell undertook the manufacture and installation of the fabric sculpture. Intended as an area of contemplation, the space has white cushions strewn around it as the swathes of fabric waft above. 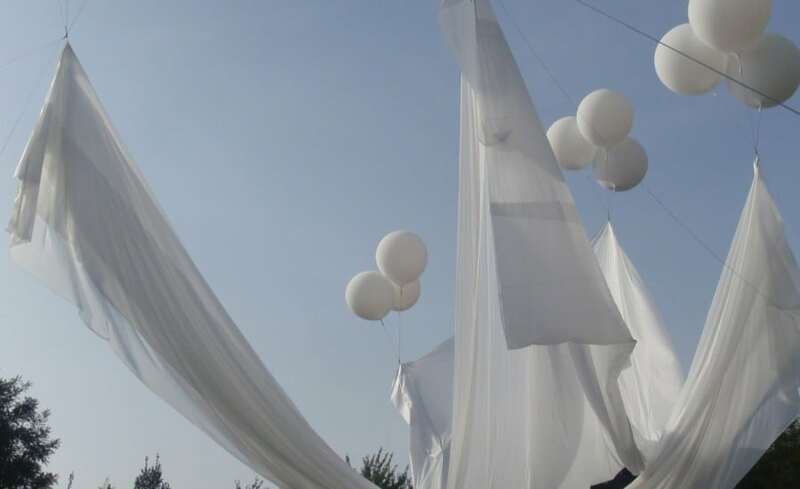 While an idyllic vision, it was not an easy task to create the ephemeral fabric clouds. Using several helium weather balloons, the fabric was lifted into the air and the balloons tethered to the ground, the idea being that the sculpture could be seen from the gardens entrance and from various points within the city. 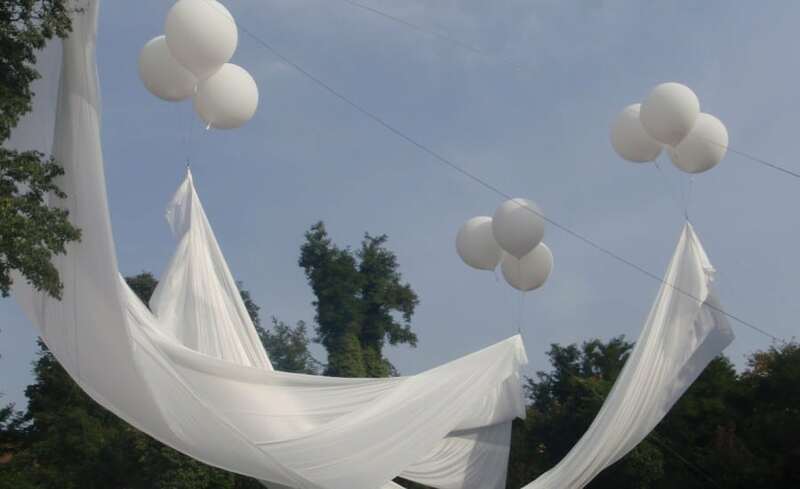 According to one journalist the fabric feature formed an exquisitely lovely floating white canopy of spinnaker fabric, supported by tethered white balloons. Installation of the structure was in a derelict garden area of post industrial military usage. The garden was reclaimed and landscaped with berms to produce a sculptured, lawned area over which the ethereal clouds were flown. Due to Venices archeological and historical rules only shallow ground anchors of the helical type could be used to anchor the balloons and sculpture. These had to be installed by hand within the existing vegetation in order to create as little disruption as possible. Additionally, in order to minimise the visual impact of the rigging for the balloons, 3mm dyneema line with a dark sheathing was used. The fast track programme of this project made an exciting challenge for the team. Design approval to completion on site was achieved in just 7 days ready for the grand opening of the Biennale! Declared by critics as a triumph, enchanting and as the festival piece which blew everything else away, the installation was an undoubted success and one which we are extremely proud of.